Hip Hop Karaoke moves to The 27 Club starting September 21st - Spotlight Ottawa	:: Spotlight Ottawa - Your local music scene. Get out and experience it! Hip Hop Karaoke Ottawa has moved to The 27 Club in Ottawa’s historic Byward Market. Our first event at this new venue will take place on Friday, September 21st, 2018 at 27 York St. Founder and long time event promoter DJ So Nice will still be holding it down on the turntables with a brand new host! 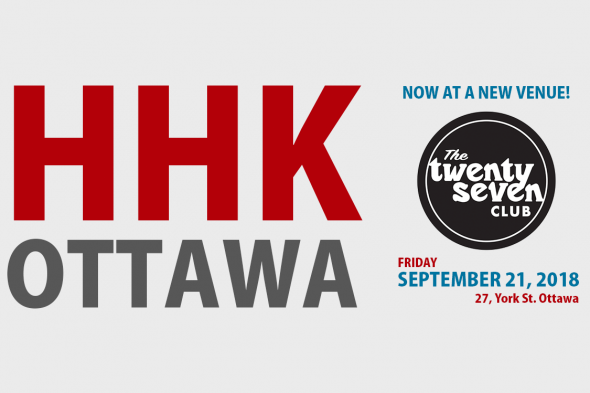 Now, almost 7 years later, HHK Ottawa has a new home at The 27 Club in The Byward Market. The new venue offers both performers and patrons a much improved experience from the usual pubs and dives that the event has hosted at in the past. The feel-good vibes that everyone is accustomed to will be taken to the next level with the club’s world-class sound system and a higher capacity. That’s right, better sound and no more lineups! The name of the game at HHK Ottawa is always fun! We want to take karaoke out of the dusty parlour and bring it into the nightclub, with our guests as the stars. No bouncing ball on a teleprompter. This is the real deal. We provide everything needed to make it as close to an authentic rap concert experience as possible: a DJ, a mic, a beat, stage lighting, a hypeman and a crowd. The rest is up to the performers. It’s all love at HHK Ottawa.